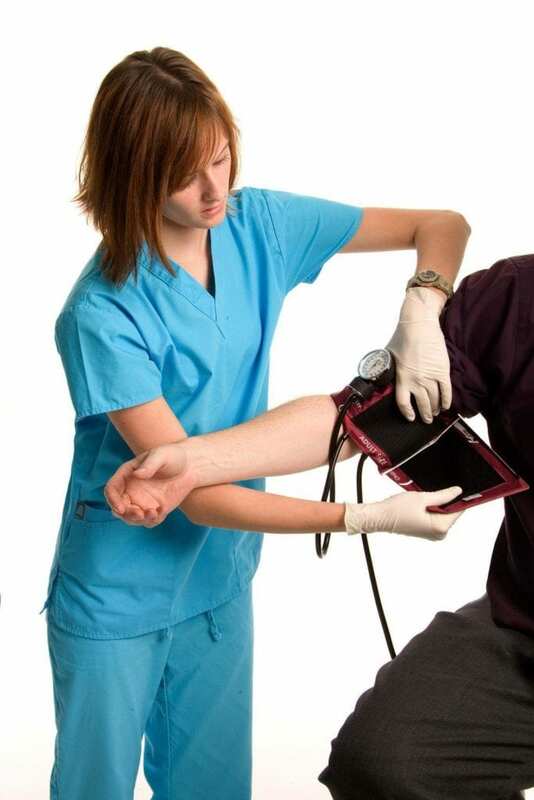 Certified nursing assistants form the foundation of basic nursing care. They work closely with licensed nursing personnel in providing care to patients in hospitals and residents in long-term care and assisted living facilities. CNAs duties primarily involve bedside care. Their duties include bathing, dressing, feeding, and grooming patients who cannot help themselves. They also assist with toileting, measure and record vital signs, communicate concerns to nurses and senior staff, dress wounds, and assist patients with mobility. In South Carolina, prospective CNAs must complete a minimum 100 hours of classroom and clinical instruction and take the state Nurse Aide Competency Evaluation. After obtaining state certification, new CNAs can work in hospitals, clinics, nursing homes, patients’ homes, and long-term care facilities. The nurse assistant program at Greenville Technical College prepares students for a world of opportunities in the field of healthcare. Students learn how to function in long-term care, assisting patients with the activities of daily living. The course comprises of 60 hours in the classroom and simulated lab and 40 hours of clinical experiences at a skilled nursing facility. Students accepted into the program will be subject to a drug screen on the second day of classes. Applicants must meet the enrollment requirements, including a criminal background check, and the ability to read, write, and understand English to a minimum sixth-grade level. Students must bend, lift, and stand long hours during the course, so students must be physically capable of managing the exerting duties. Classes meet from 9:00 am to 3:30 pm Monday through Friday – 17 sessions total. Graduates are prepared to take the state certification exam. Students will complete the application for testing ($101 fee) on the final day of class to take the test on-site. Tuition for the program is $849 plus $27 for the course textbook. Ignite Healthcare Institute offers day, evening and weekend nursing assistant classes to prepare students for entry-level employment as a Certified Nursing Assistant. The flexible schedules are designed to accommodate working professionals. Daytime classes run from 8:30 am to 3:30 pm for three weeks. Evening classes are four weeks and run from 4:30 pm to 9:30 pm. The school facilitates 100 hours (60 hours in the classroom and 40 hours at clinical sites) in line with state requirements. Applicants must be able to read, write and understand English at an eight-grade level, pass a criminal background check, pass a drug screen, and be in good physical and mental health. The clinical experience at a skilled facility will involve lifting, pushing, and pulling thirty pounds and standing for extended periods. Tuition is $700 and includes a workbook, background check, stethoscope, blood pressure cuff, urine drug screen, scrubs, name badge, CPR certification, TB test, and the state board exam fee. Goodwill Industries facilitate a nurse assistant program that comprises of classroom and supervised clinical experiences to prepare for the state Nurse Aide Competency Evaluation Test. Both the classroom and clinical instruction highlight the fundamentals of safe and competent care as well as work readiness. Course topics include personal hygiene, communication and interpersonal relationships, laws and ethics, basic nursing concepts, safety and emergency procedures, feeding and nutrition, anatomy and physiology, basic computer skills, death and dying. The 135-hour program exceeds the state minimum and comprises of 65 lab hours, 40 clinical hours, and 30 hours of work readiness. Classes are limited to eight students to provide a friendly learning environment to aid learning. Applicants must be at least 18 years of age, pass a criminal background check, possess a high school diploma, demonstrate competence in math and reading, provide negative drug screen and TB test, submit an essay of intent, and pass the TABE assessment. Physical requirements include the ability to lift up to 70 pounds and stand for long periods. Graduates are eligible to take the certification exam for employment at nursing homes, private homes, hospitals, clinics, and hospice. Goodwill provides textbook, workbook, CPR training, background check, stethoscope, one set of scrubs, drug and TB screening, state exam booklet, and state board certification exam fee to all enrolled students. Accepted students must attend an orientation class before the training commences.